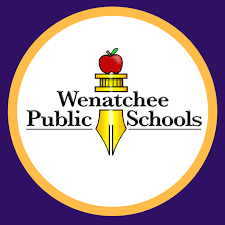 Multiple candidates for the Wenatchee School District superintendent position have withdrawn their applications or declined to apply upon learning of “governance challenges” within the district, according to a letter sent from HYA consultants Hank Harris and Barbara Young to the Wenatchee School Board. 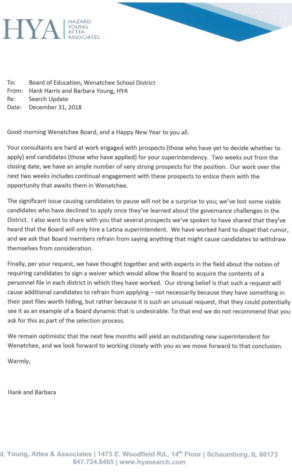 Candidates were also allegedly influenced by a rumor that the board would only hire a Latina superintendent. In an email to The Apple Leaf, board president Sunny Hemphill declined to comment on the process of the superintendent search. I have a question, not a comment, about how the letter was obtained by Apple Leaf. Has the letter been released to the public or did Apple Leaf obtain it thru a private source? The Apple Leaf publishes articles based on a variety of sources: public, public records requests, and private. This document was provided by a private source. Similarly, if you have any information you would like to share you may contact us. This is a sad commentary on this Board’s leadership.